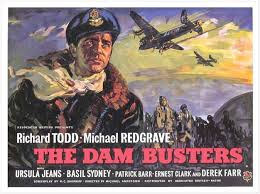 Pam and I were watching again our DVD of the classic war film ‘The Dam Busters'. I had first watched it when I was but a teenager at school ... and it had riveted me. It was the British Box Office’s most popular film of 1955. I have always marvelled at the tenacious spirit of Barnes Wallis (played by Michael Redgrave), the inventor of the famous ‘bouncing bomb’ – in whose memory various roads are named today. And Richard Todd’s performance of Guy Gibson – leader of the raid on German dams by RAF’s 617 Squadron - was highly acclaimed by the critics. 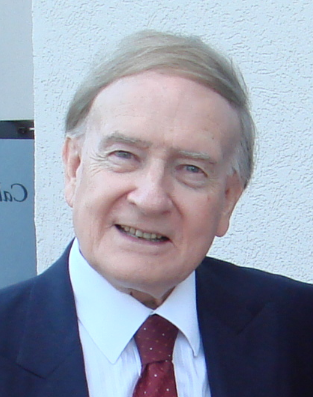 Around the year 1970 – as a young church minister – I was even inspired to write a hymn on Psalm 46, and obtained copyright permission to set it to the film’s theme music, ‘The Dambusters March,’ by Eric Coates. Since then, ‘God is our Strength and Refuge’ – has gone all over the world. It appeared in many hymn books and is used by churches everywhere. Certainly every month of November sees it featuring in many church and air force gatherings on Remembrance Sunday. When I was leading London’s church of All Souls Langham Place, our orchestra and choir would sometimes include the hymn for big concert venues such as the Royal Albert Hall - for our big “Prom Praise’ presentations. One memorable night on Britain’s South coast, down in Bournemouth, our programme once again included it in the city’s packed-out International Centre. Back in England, a friend that Pam and I greatly love is “Inge’ – a sweet German Christian woman. Her family home had actually been in the valley, just below the Mohne Dam when the Dam Busters’ raid took place, the fatal night of May 17th. Somehow Inge survived. Who can ever excuse war, in all its destructiveness? It occurs as an ever-repeated reminder that humanity represents a fallen race, in ugly rebellion against its Creator – and in desperate need of redemption through the cross of Christ. And yet – according to the Psalmist - we were originally made only ‘a little lower than the angels,’ capable – even in our fallenness and even at the very height of war – of acts of incredible heroism and selfless care. This is where the inspiration of ‘The Dam Busters’ lies. 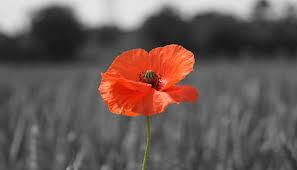 But Remembrance Sunday – in emphasising ‘the other side’ – carries us further still, in its insistent reminders of the hurt, sorrows and disabilities inflicted in every conflict that impinges on us up to the present day. It can even summon us on, beyond the chaos of war, to where our friend Inge is today; in the permanence of a secure faith, and in membership of the eternal Church against which – as Jesus promised - not even the powers of hell can stand.